It is March 2017. Low season on Lake Como. I've been fortunate to spend 2 nights at this fabulous hotel. Located on the shore of Lake Como, the Northern Italy, Lombardy, at footsteps of the Alps. Or Pre-Alps? It took more than 1 hour to arrive from Milano Linate Airport (Malpensa is closer). While we were in traffic on the way, the driver remarked that in summer it is even worse. It reminded me Amalfi Coast and French Rivera. While we were slowly moving down, In some cases, he even stopped the engine for few minutes. I had time to appreciate the scenery, even during the rain. 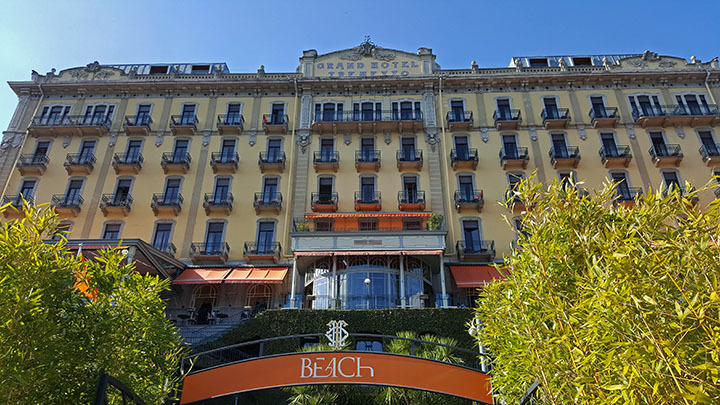 Grand Hotel Tremezzo is located - where else - Tremezzo, on the shore of the lake. It was worth driving there. The minute I arrived and entered the lobby via elevator on second floor - the only thing I can say "WOW". 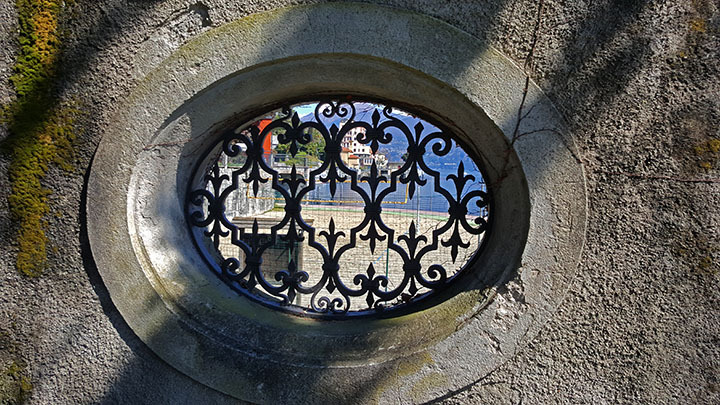 The hotel was build 100 ago as a hotel (most luxury hotels in Como were built as villas and converted as hotels). 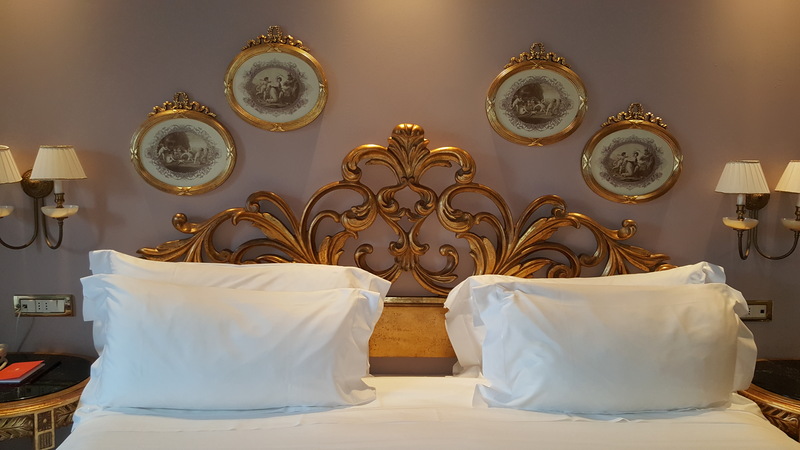 This iconic privately owned hotel is an Art Noveau Palace (or also called Belle Epoque Style). 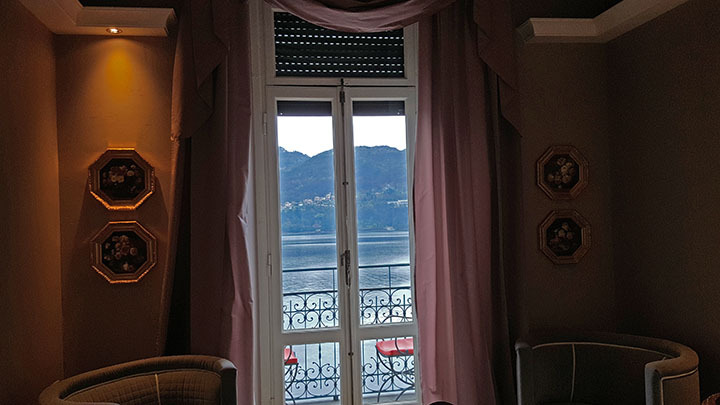 It offers spectacular views of Lake Como and mountains. The hotel opened on 10 July 1910 with a party great public celebrations. Since then, every year there is a celebration. Book early for the party! The lobby had some particular smell of the roses. There were indeed beautiful roses arrangements, some in the water. I was explained that it is special perfume designed specifically for hotel. My room was Lakeview Prestige, facing the lake with a small balcony. It was Belle Epoque style, beautiful marble bath. I was told the hotel owner choose marble personally from Verona quarries. I went for a tour of hotel with Sabrina, reservations department. I saw rooms and suites. While I prefer when I am on the lake, to have a view of the lake, I was pleasantly surprised then LakeView Prestige rooms have beautiful views of the garden. 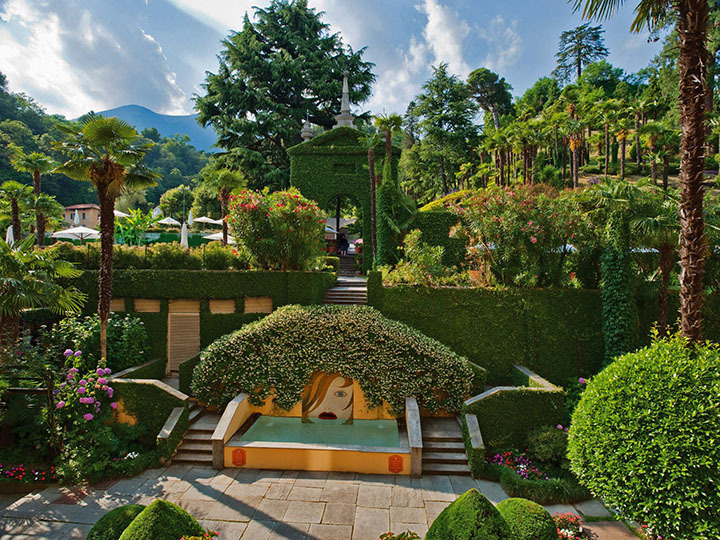 The garden is adjacent to famous villa Carlotta, famous for its neoclassic interior and gardens. I toured briefly hotel with Sabrina and decided to check out spa in the morning. I was looking forward for dinner at La Terrazza, The restaurant is collaborating with the biggest name in modern Italian cuisine: Gualtiero Marchesi, together with hotel's own expert chef, Osvaldo Presazzi, create dishes which are a tribute to the flavors of the local area. Greta Garbo used to come here to dine in consummate elegance. “The Divine”, as she was known, was one of the very few female icons from the last century who knew how to travel and wherever she went she could see that light and that magic intensity that made her roles so famous. 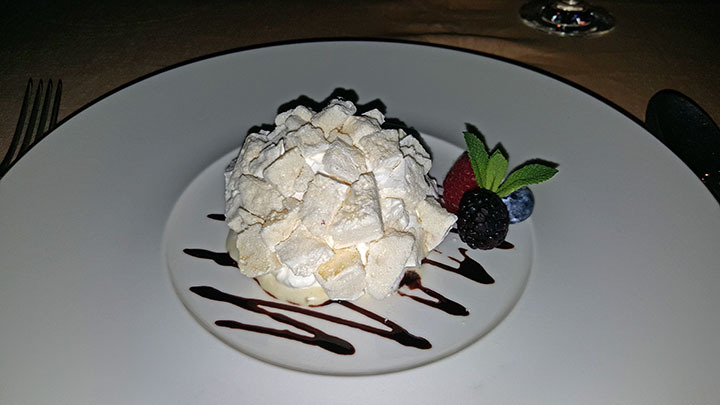 Chef Marchesi is considered to be a founder of Modern Italian cuisine. He earned 3 Michelin stars, however in 2008 he denounced the scoring system of Michelin, and "returned" the stars, challenging the voting system of the guide, and claiming to only want to receive comments and rating. Nevertheless, he is the most famous chef in Italy. 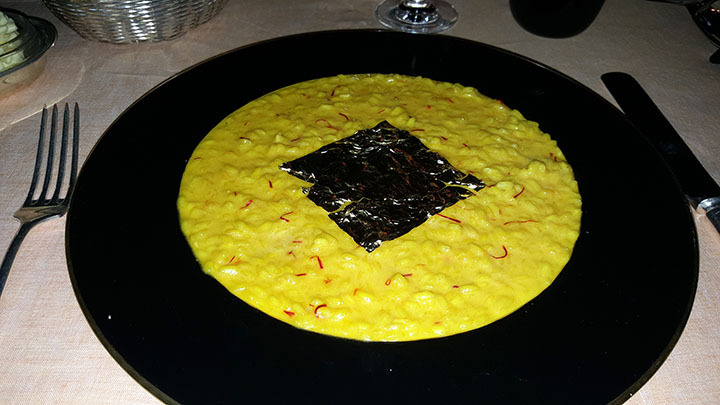 I was looking forward to try his signature dish "Risotto with saffron and gold". 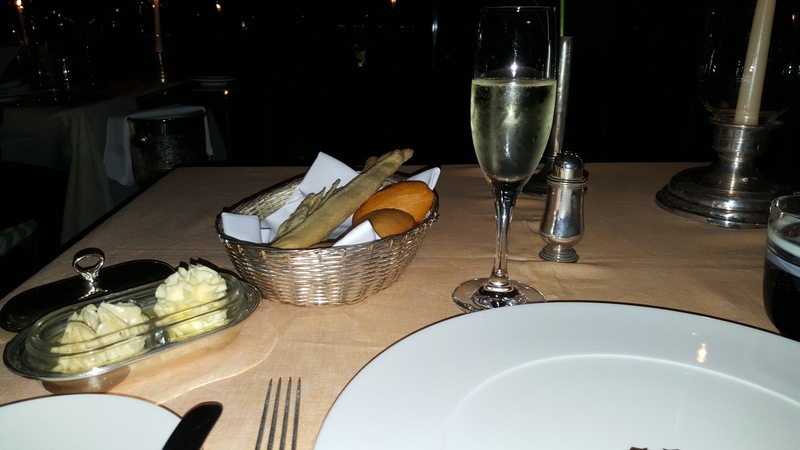 My table was set in the first row overlooking the lake. The service was excellent. I had a glass of local Prosecco. The meal started with amuse - bouche. It was polenta with baccala, Venetian salted cod and green sauce (explained by the waiter as "Chlorophyll". First course, of course I selected Risotto. It had color of saffron and in the middle a square of gold. The rice was a la dente, perfectly seasoned. I did not detest special taste of gold (:-) ) but in general, the risotto was superb. Risotto is Northern area specialty and of course chef did not disappoint. 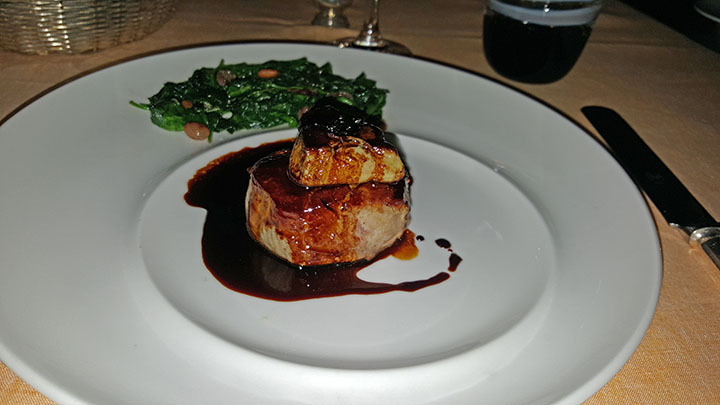 Main course I chose Fillet of Veal and and Foie Gras , black truffle Gualtiero Marchesi style. I thought it is going to be only meat, but it came with a side dish of sauteed spinach and raisins. I usually eat beef rare but waiter recommended to cook veal medium rare. It was tender enough to eat it with knife which was not a steak knife. The sauce was superb. If forgot to mention bread basket. they were homemade baked and I came with a butters. Selection of butters had regular and tuna flavored. I love salted fish and the butter had flavor of salt fish. It was delicious. Some bread rolls were herb, some tomato and I believe parmesan crisps. I finished main course with cleaning the plate with bread roll. 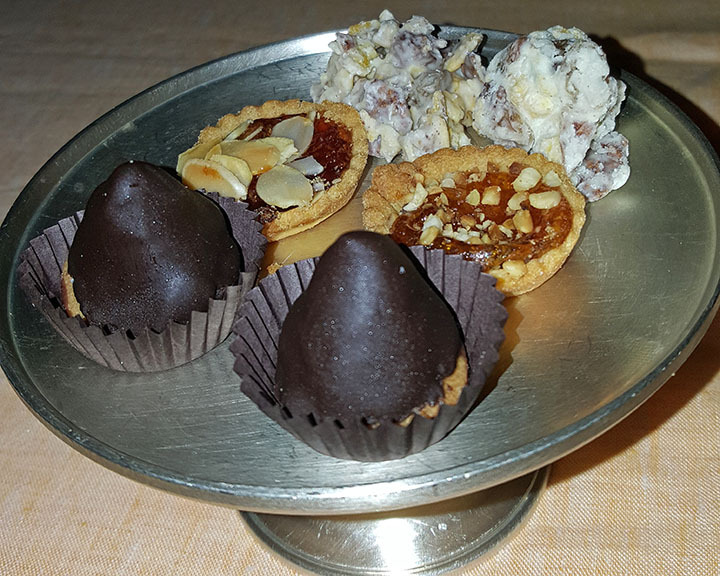 The dinner ended with complimentary petit-fours which unfortunately I could no finish but I did bite them.